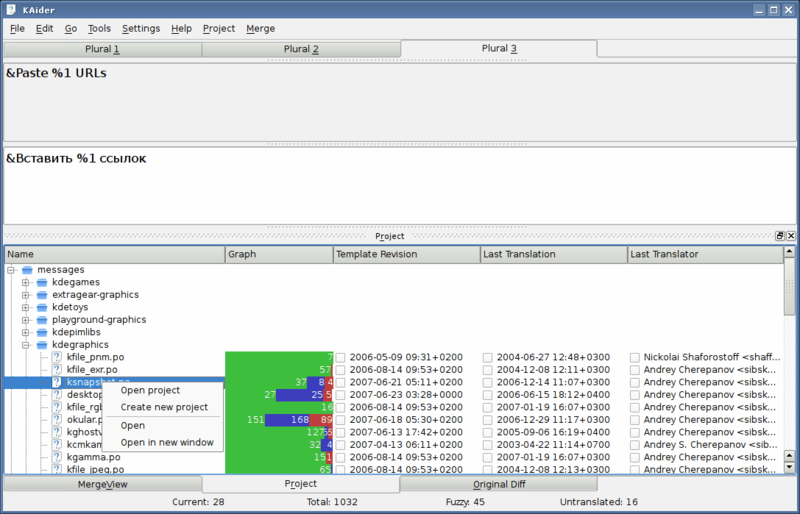 Difference between revisions of "Projects/Summer of Code/2007/Projects/KAider"
* Search/Replace functions in multiple files at once. * Spellchecking of multiple files at once. * Populate Glossary via GlossaryView context menu (.tbx file will be created automatically for you on the first entry addition). * back-checking, to see whether a term/string in the target language has been used as translation for different things, not just that one source has the same translation everywhere. 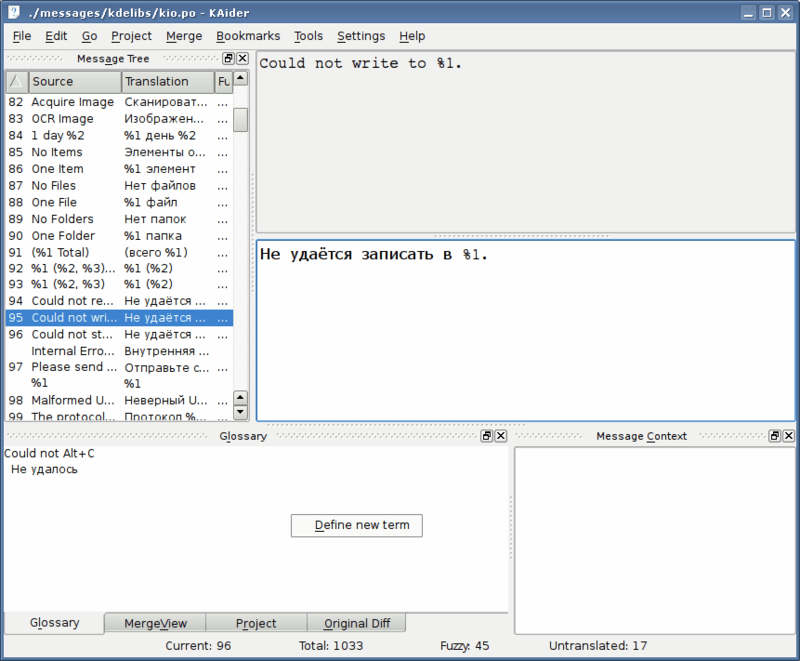 * Be complete computer-aided translation system by providing e.g. actions to import+export openoffice, txt and documents of other formats by calling appropriate scripts/commands. Define for that general kross actions interface. modify your xorg keyboard layout! Search/Replace functions in multiple files at once. Spellchecking of multiple files at once. Populate Glossary via GlossaryView context menu (.tbx file will be created automatically for you on the first entry addition). back-checking, to see whether a term/string in the target language has been used as translation for different things, not just that one source has the same translation everywhere. 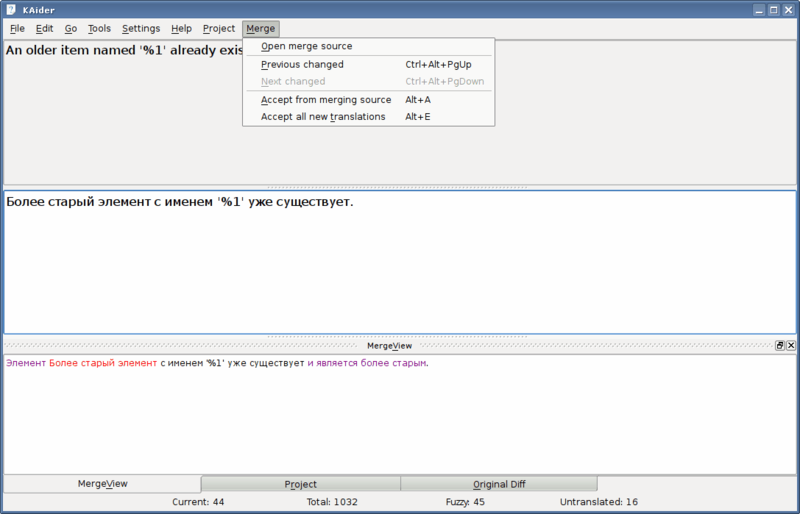 Be complete computer-aided translation system by providing e.g. actions to import+export openoffice, txt and documents of other formats by calling appropriate scripts/commands. Define for that general kross actions interface. Why? Better improve system-wide charselect tool, OR... modify your xorg keyboard layout! This page was last modified on 19 March 2011, at 23:02. Content is available under Creative Commons License SA 4.0 unless otherwise noted.